Isobel is on the hunt for her missing muse. What she finds instead is an abandoned toddler who is sunburned and close to death. Dr. Liam Brigham keeps little Mia alive, but needs Isobel to save the girl from a far greater danger--a killer with an agenda for kidnapping. With Mia's life next in line, Isobel and Liam have to put aside their differences, face their past and throw their trust at the only One able to save. Finding Mia sounds amazing...and I love the cover! Well done, Dianne...Your book sounds very intriguing! Finding Mia for me-ah!!! Love this Dee-Lightful lady...Go Di Wilson! Dianne J. Wilson, hoping we can look forward to many more wonderful books from you. You are truly a Blessing. Dianne J. Wilson, keep writing and being as inspiring as you are! At its heart, Finding Mia is about restoration. I wrote prompted by the John 10 v 10 “The thief comes only to steal and kill and destroy. I came that they may have life and have it abundantly.” It is my hope that as my readers laugh and cry along this journey with Isobel, that they will come to trust that God’s intentions for them are always good and loving, no matter what they face. 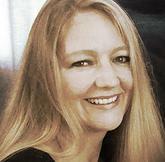 Bio: Writer by night, Dianne J. Wilson is a graphic designer and ballet school administrator by day. Working as a freelance writer has paid the bills, but communicating Truth through fiction is her passion, whether through words in books or by dance, music and drama on stage. She lives in East London, South Africa with her husband, Scott, and three daughters. Wow my big,little sister, when birth arrives it arrives in an amazing way that only God could plan. Well done sis, love you lots!